MEMPHIS, Tennessee – International Paper will present the 17th annual Toy Truck to collect toys for 6,200 children, ages birth to age 5, served by Porter-Leath’s Preschool program. The toy drive will be held at the Poplar Collection Shopping Center from Wednesday, Dec. 5 through Saturday, Dec. 8. WMC Action News 5 will host the final stop on Friday, Dec. 14 and Saturday, Dec. 15. Toy Truck, which began in 2000, invites local individuals, groups and businesses to fill a large truck with new, unwrapped toys for Porter-Leath Preschool children. The annual community campaign collects age-appropriate toys that promote early learning — such as dolls, trucks and building blocks. This is the first year that Poplar Collection, home to Village Toymaker, hosts the toy drive. All gifts will be delivered to Memphis children who may not receive another gift over the holidays. You can drop off new, unwrapped toys as well as cash, check or credit card donations from 8 a.m. to 6 p.m. at the Poplar Collection, 4615 Poplar Ave., from Wednesday, Dec. 5 through Saturday, Dec. 8, and from 8 a.m. until 4 p.m at WMC Action News 5, 1960 Union Ave, on Friday, Dec. 14 and Saturday, Dec. 15. Visitors can also see Santa Claus at the Poplar Collection from 10 a.m. to 6 p.m., and at WMC from 8 a.m. until 4 p.m. All monetary gifts delivered to Toy Truck, and made online, will be matched by a Secret Santa in the community. 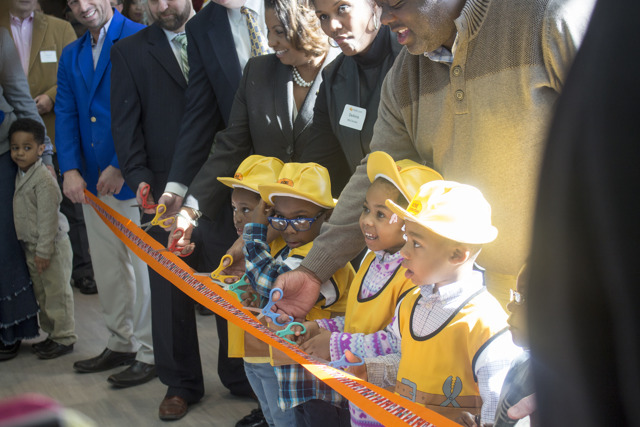 Porter-Leath has served as a Shelby County Early Head Start provider for 20 years. In addition, the organization is the sole Head Start contractor to Shelby County Schools. 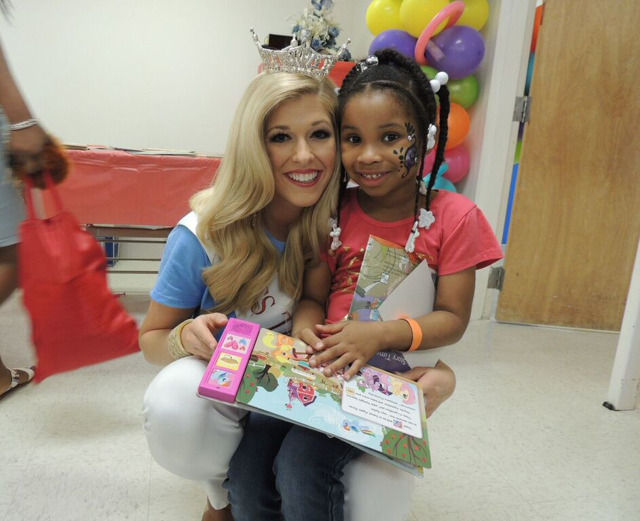 The organization provides over 6,000 disadvantaged infants and toddlers with a high quality early childhood education at no cost, while also supporting their development through nutritious meals, health screenings, disability services, and mental health services. 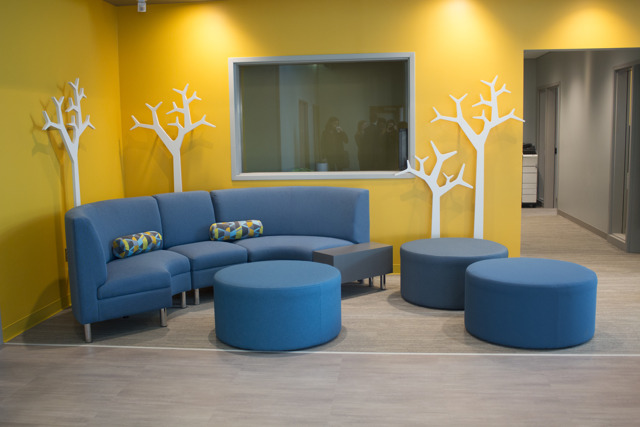 Since its inception in 1850, Porter-Leath has cared for children with life challenges while continually broadening its programs to fill the community’s needs. 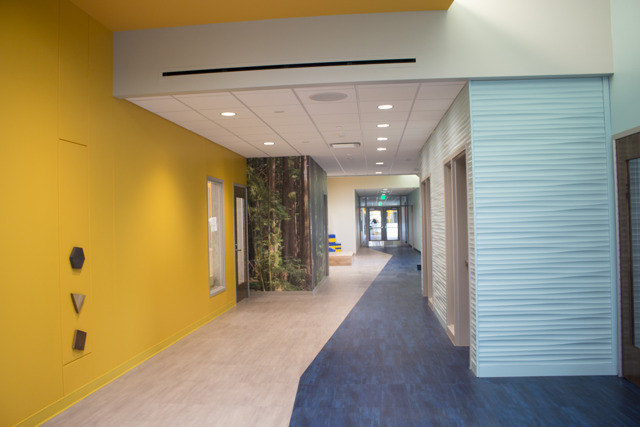 The organization’s comprehensive range of early childhood services — Cornerstone, Preschool, Generations and Books from Birth — engages the child, family and community in an immersive learning experience that supports early social, emotional and cognitive growth. To learn more visit porterleath.org. Porter-Leath recently promoted Rob Hughes to Vice President of Development, where he will plan and implement a comprehensive development plan to advance the organization’s mission of empowering children and families to achieve a healthy, optimal and independent lifestyle. He brings 10 years of fundraising experience to his new role. 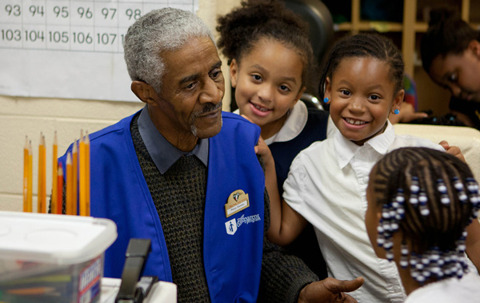 Hughes leads the funding of programs and services for the 50,000+ local children and families the organization serves. 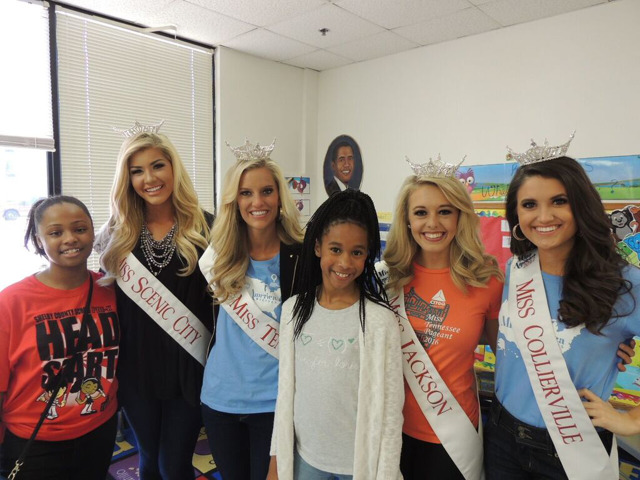 He also supervises Porter-Leath's two largest fundraising events each year —Toy Truck and the Rajun Cajun Crawfish Festival, which have grown to become landmark Memphis community events that raise over $100,000 each for Porter-Leath. Since joining Porter-Leath in 2009, Hughes has played a key role in organizational growth from an $8M agency with 180 team members to a $30M+ nonprofit with 600 team members. He has helped expand Porter-Leath's Preschool program to include over 6,000 students who receive a high quality education at no charge. He will also direct the combined development teams of Porter-Leath and Books from Birth, which recently merged with Porter-Leath to promote kindergarten readiness for all Shelby County children by providing free, age-appropriate books from birth to age five. 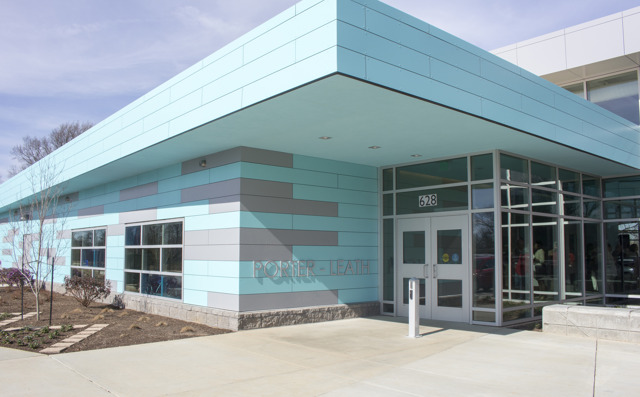 Most recently, Hughes assisted in the capital campaign for Porter-Leath’s Early Childhood Academy, a state-of-the-art preschool and teacher training institute that provides comprehensive early childhood education and support services for 224 students as well as professional training and development for preschool educators. The Academy opened in 2017. A Memphis native, Hughes earned an MBA from Christian Brothers University and is a graduate of the New Memphis Institute’s Embark program, NEXUS, and Leadership DeSoto. 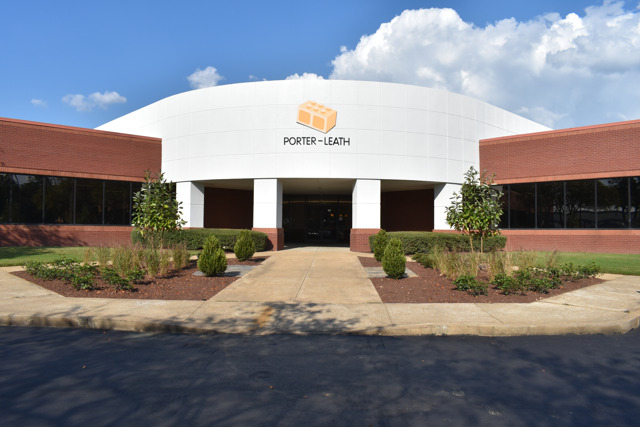 MEMPHIS, Tennessee – Porter-Leath recently announced that it will host a career fair on Thursday, April 13 to hire new Preschool staff to join its team. The organization is now actively seeking to fill more than 25 positions, including teachers, administrators and non-instructional staff to provide high-quality education and support services. Certified Pre-K Teacher candidates, who are of the greatest need, must have a bachelor's degree in Early Childhood Education or a related field, plus a Teachers License with Pre-K endorsement. As the Shelby County grantee for Early Head Start, contractor for Head Start grantee Shelby County Schools, and Pre-K provider for ASD and other districts, Porter-Leath has achieved meaningful results in advancing school readiness for disadvantaged children from birth to age five. 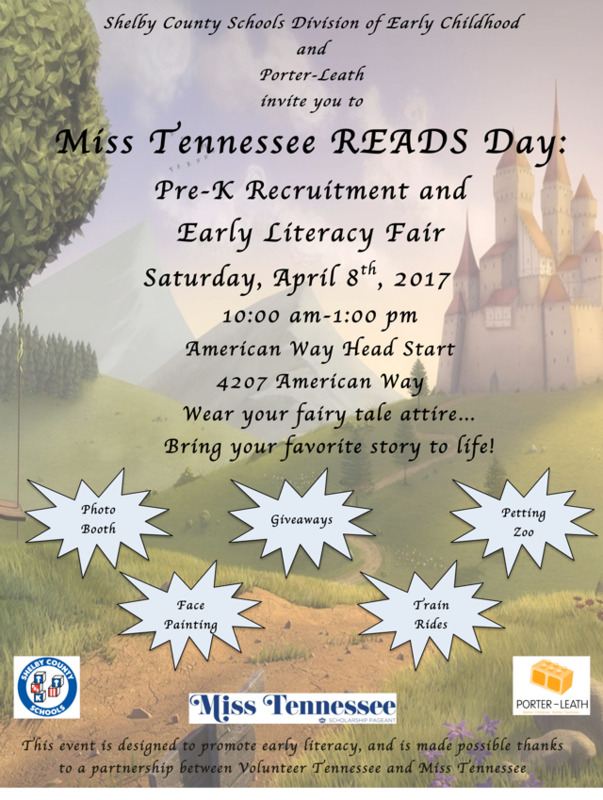 Its professional team brings vital early childhood education and family services to over 5,900 Shelby County children each year. 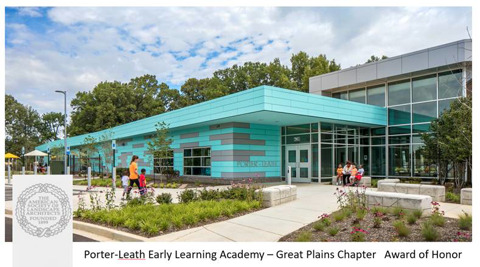 “This is a great opportunity for our community’s most dedicated, responsible and caring professionals to play a role in preparing children for lifelong learning success,” said Karen Harrell, Porter-Leath’s Vice President of Early Childhood Services. Porter-Leath Preschool centers are all accredited by the National Association for the Education of Young Children (NAEYC) and maintain 3-star recognition from the Tennessee Department of Human Services’ Child Care Report Card System. 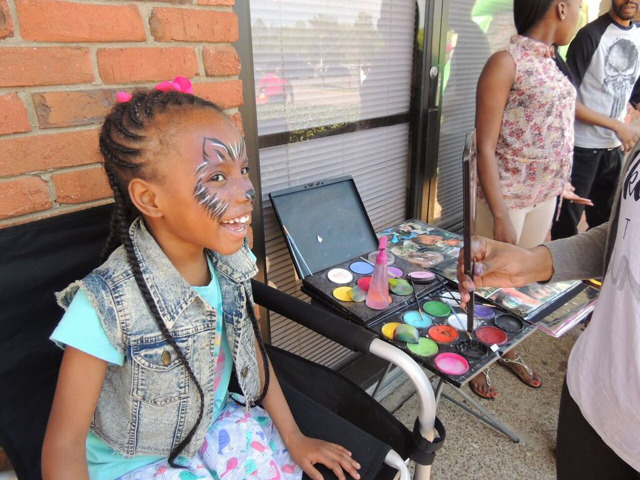 The career fair will be held from 1 – 4 p.m. at Porter-Leath’s Early Childhood Academy, 628 Alice Ave. Candidates should arrive professionally dressed, with a resume and transcripts. 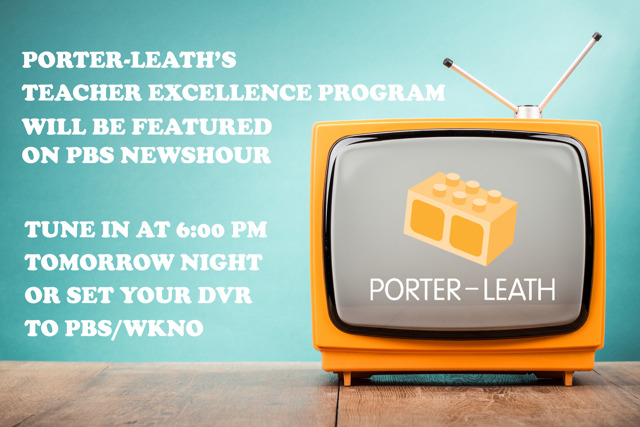 Recognized as a Top Mid-Size Workplace by Workplace Dynamics and The Commercial Appeal, Porter-Leath offers competitive salary, professional development plans, career advancement opportunities, 401k and 403b retirement plans and a team-based work environment. 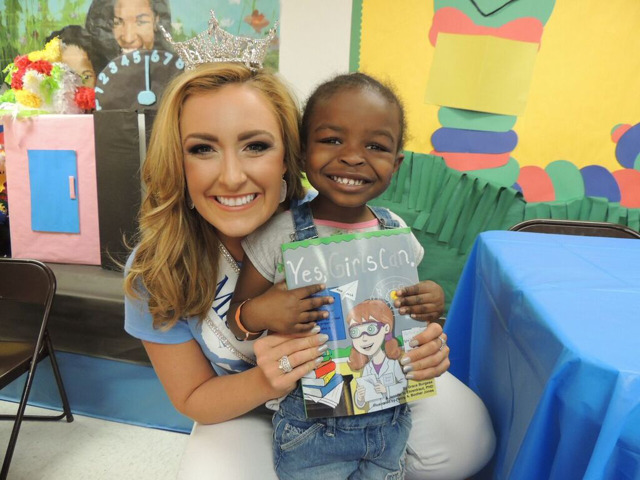 MEMPHIS, Tennessee – A recent assessment by Shelby County Schools has revealed that 72 percent of incoming kindergartners from its Early Childhood programs demonstrate full academic readiness in foundational reading skills — an increase of 125 percent over the past year. SCS took over Memphis’ Head Start program from Shelby County government in 2014, increasing the number of students served by 3,000. 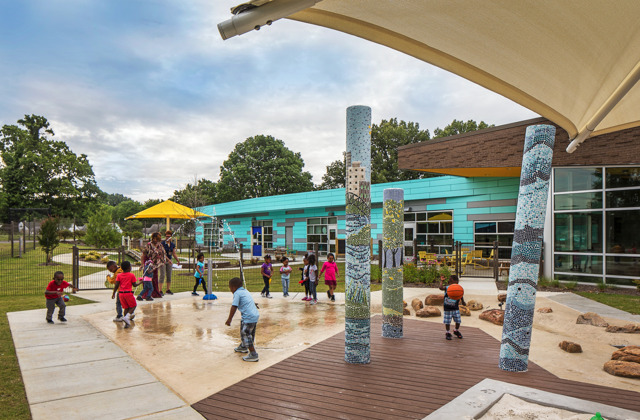 The district contracts the operation of early childcare centers and wraparound services exclusively to Porter-Leath, which will serve 5,476 students in the 2015-2016 school year. Head Start is a federal program that provides early child development and family support services for children, ages 3-5, from the highest risk families. 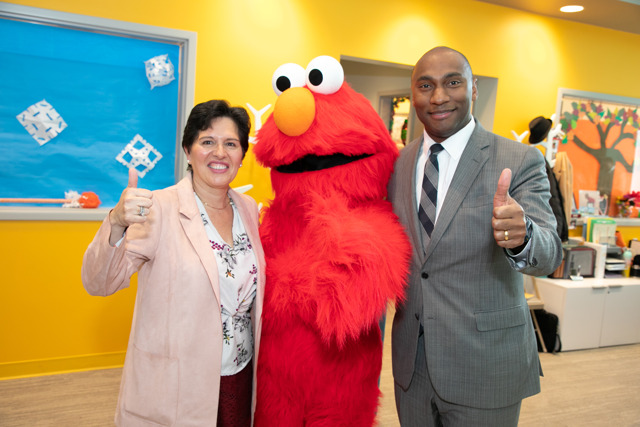 With a comprehensive focus on all aspects of healthy development, the Head Start Approach to School Readiness means that children are ready for school, families are ready to support their children's learning, and schools are ready for children. School readiness goals for Porter-Leath and SCS are aligned with the Head Start Child Developmental & Early Learning Framework, the Tennessee School Readiness Model, and the Kindergarten Readiness Checklist for SCS. Ongoing evaluation of children’s learning and development progress is administered through Istation® computer-adaptive testing as well as Brigance assessments, which determine progress in language, motor, self-help, social-emotional, and cognitive skills. School readiness goals for the following year are adjusted based on student progress. "We are delighted to have doubled our school readiness scores, and continue to work towards our goal of 90 percent readiness," said Karen Harrell, Vice President of Early Childhood Services at Porter-Leath. “Reaching this landmark brings us closer to our vision of becoming a leader in helping Mid-South children and families succeed.” In addition to supporting children’s developmental growth, the program provides health screenings, nutritious meals, disability services, parenting training and mental health support to build their school readiness. 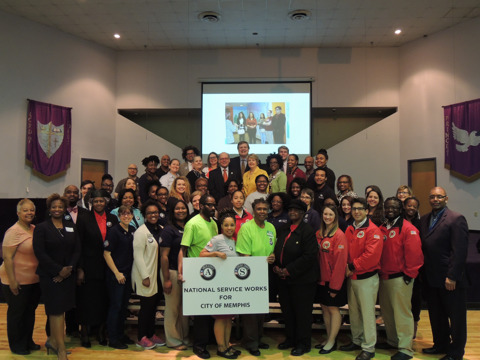 MEMPHIS, Tennessee – As Porter-Leath enters the 2015-2016 school year, our students, families and employees will benefit from working with our corporate partners to build a stronger Memphis. 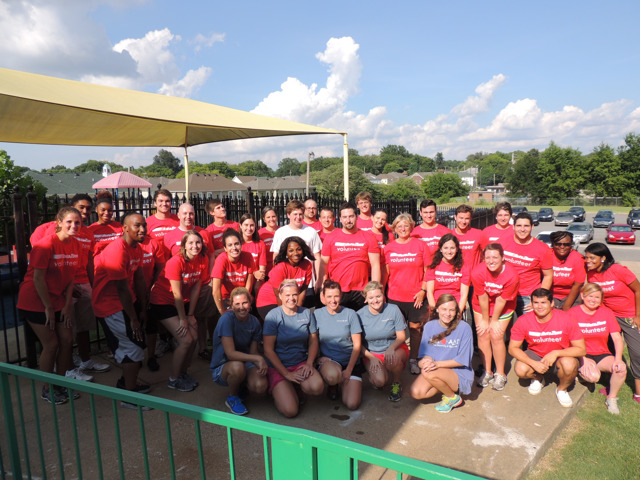 In July, Over 50 volunteers from Porter-Leath , Lipscomb & Pitts Insurance and AutoZone gathered at Porter-Leath’s MLK Head Start location to paint the building’s 9 classrooms, pressure wash the playground and perform other cosmetic renovations. 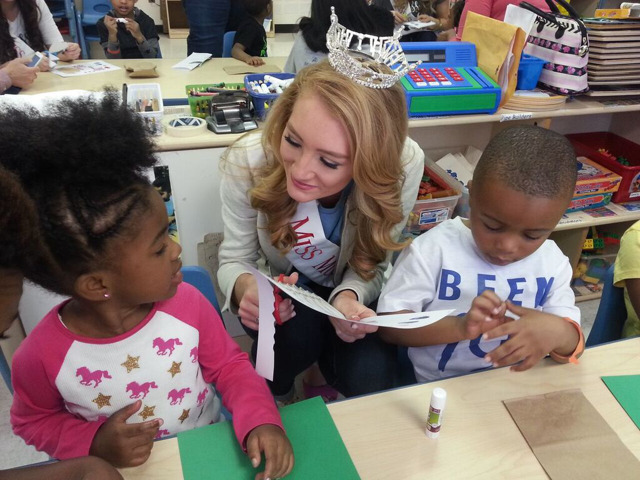 MLK Head Start serves 180 children each year. 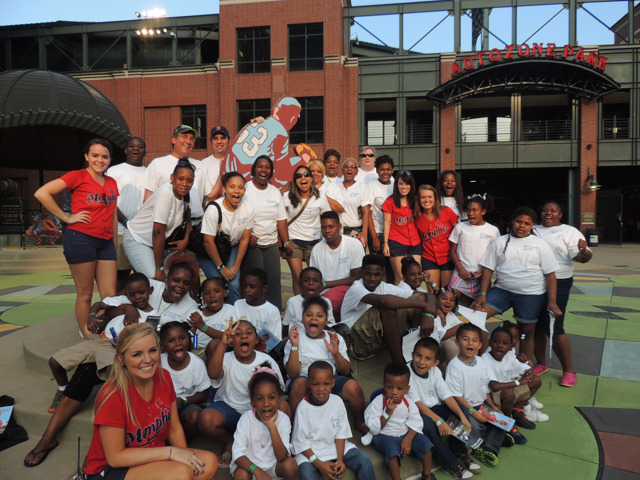 Later in August, Raymond James employees treated 20 families from Porter-Leath’s Douglass Head Start to a Redbirds game at AutoZone Park. In addition to watching the game, enjoying ballpark snacks, and meeting Rockey the Rockin' Redbird with students and their parents, Raymond James presented Porter-Leath with a $2,500 donation to celebrate the company’s Raymond James Cares Month. Porter-Leath Preschool offers a comprehensive combination of quality home-based family services and onsite educational programs. Porter-Leath’s Preschool program provides high-quality preschool education for more than 5,800 of the highest-risk children in Shelby County annually, free of charge.